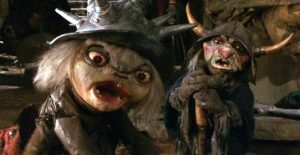 Orcs, Dwarves and Goblins, with John Harding, ex WETA Workshop art directorJanuary 3-4 2019 $150 for both days, $85 for one day, $45 for half a day. Bring own snacks and drinks and lunch.Designed for .. 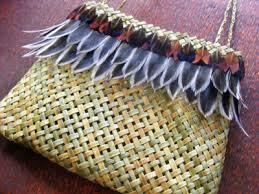 Dates to be confirmed;10am to 4pm each day 1 hr for lunch.$80 for both days, $50 for 1 dayNow an annual event in our secretary’s farm garden in Takamatua, this is a wonderful two-dayworkshop for ..
Weaving School – 2019 10am to 4pm each day.1 hour for lunch$300 for full six days, once per week, $60 per casual class, dates to be confirmed. We’re very excited about this! A master kaiwhatu, .. 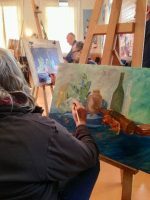 Dates to be confirmed every Thursday evening –February 14, 21, 28 and March 17 2019Trinity Hall, Rue Lavaud, Akaroa6pm to 8pmSaturday 9th and Sunday 10th March – 10am to 4pm with an hour for a .. Dates to be confirmed; 10am to 4pm each day. 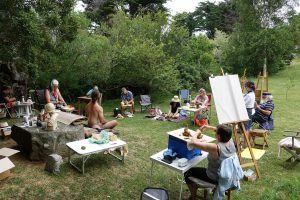 10am to 4pm each day1hr for lunch$140 for both days, $80 for one dayAnother now annual event in Anne and John’s farm garden in Takamatua, a ..
May 1 to June 26 2019 nine Wednesdays from 6.15 to 8.15 pm. 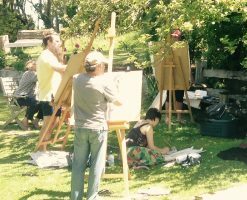 Trinity Hall, Rue Lavaud, Akaroa $180 for the course paid in advance or $25 for casual sessions. 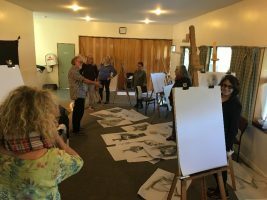 All levels of artist come to these wonderful ..
22 and 23 June 2019 10am to 4pm each day,1hr for lunch$160 for both days, $90 for one day We ran this workshop in winter 2018 and loved it. 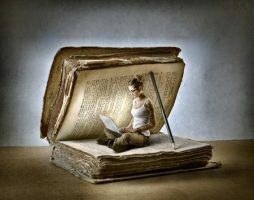 Everyone who attended learned heaps from ..
Starts 20 July, ends 24 August 2019 six Saturdays from 10am to 4pm with an hour for lunch.$390 for the course, paid in advance or $75 per casual class. 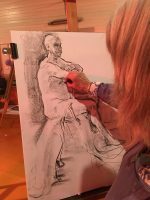 Siene’s Oils class in 2018 was ..
Oil Painting with Siene de Vrieshttp://www.sienedevries.com7, 14, 21 and 28 July 2018; 10 am to 4 pm each day, 1hr for lunch. $260 for the full course, $80 per casual day. Designed for all levels ..
13 and 27 July, 10 and 24 August 2019; four Saturdays from 1 to 4pm.$120 for the course, paid in advance or $30 per casual class. 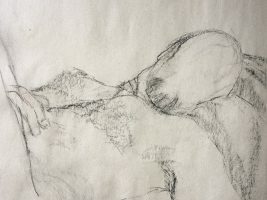 Award winning and published poet Patsy Turner will guide .. 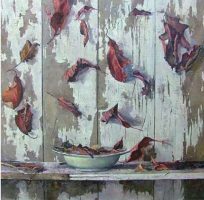 Copyright © 2019 Akaroa Community Arts Council – Powered by Customify.